We are always adding to and enhancing the features in Critical Thinking Community website. Our goal is provide quality content, materials, tools and resources to the community. Return to this page to read about recent additions as well as future projects. The most recent article on this page will also be displayed under the Member Announcements on your personal Critical Thinking My Home Page. If you have suggestions or comments regarding the website and our ongoing projects, please feel free to contact our webmaster. of working towards the cultivation of fairminded critical societies. Spring 2010 Workshops in Critical Thinking! Read more about these sessions and get more details. from Now until February 19th! 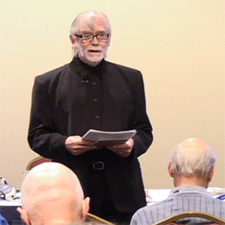 The first conference on critical thinking was held in 1980, organized by the newly established Center for Critical Thinking and convened by Richard Paul, Founder of the Center. Paul, a philosophy professor at that time, established the Center at Sonoma State University to advance critical thinking in education. 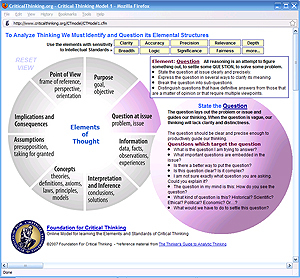 The Foundation for Critical Thinking was established in 1990 to support the work of the Center. To what extent do traditional philosophical approaches to the analysis and assessment of reasoning effectively guide one in determining what makes sense to believe and what to reject? More specifically, to what extent do these approaches provide adequate theory for determining when questions have been adequately answered and when assertions or claims have been sufficiently validated? In his critique of traditional philosophical approaches to reasoning, Paul illuminated the conflicting nature of these approaches, as well as the limitations and often glaring inconsistencies within and among them. He asserted the need for replacing the fragmented, inconsistent, and conflicting philosophical approaches to reasoning with an integrated, systematic, and if possible, universal approach. Paul argued that the primary task of the logician is to develop tools for the analysis and assessment of reasoning in every discipline and domain of human thought, tools to be used in reasoning through life’s many complex problems and issues. He emphasized the importance of the “logic of language” to human reasoning. He set forth the notion that every subject and discipline has a fundamental logic that could and should be explicitly formulated (and that an adequate theory of reasoning would provide the foundation for). 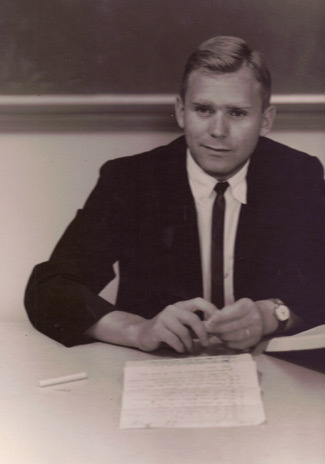 Paul’s focus on the importance of explicating intellectual tools for analyzing and assessing reasoning in his 1968 dissertation laid the groundwork for what would become his life’s work. It planted the seeds for the critical thinking theory Paul would develop throughout many years of thinking and rethinking, and that he and other Paulian scholars continue to develop. The importance of the theory developed by Paul and other Paulian scholars lies in its richness and in its universal application to human decisions and interactions, in its simplicity and in it complexity, in its delineation of ethical and unethical critical thought, in its integration of insights from many domains of human reasoning. Were it to be taken seriously in any broad scale way, it could lead to the realization of fairminded critical societies. Doane College, Integrating Critical Thinking into Instruction. To learn more about our long-term development programs, please read about our professional development opportunities. Mark your calendars now for the 30th Annual International Conference on Critical Thinking and Education Reform. It will be held July 19-22 (preconference, July 17-18) at the Claremont Resort in Berkeley, CA. Our conference is the world’s longest running conference on critical thinking. The 30th conference will mark three decades of work toward the cultivation of critical societies. The conference theme is “How to Teach Students to Master Content by Developing a Questioning Mind.” Session choices and registration will open soon. Watch your email for conference updates. Make plans now to attend one of our Spring Workshops in Critical Thinking. These workshops will cover fundamental critical thinking concepts and principles, in addition to practical applications and methods for bringing critical thinking into the classroom. Click for More Information on rates or to Register Online! Encourage students to think of content as a form of thinking. For example, encourage students to recognize that the key to history (as a body of content) is historical thinking; the key to biology is biological thinking, etc. Discuss the purposes that define the field of study – “Biologists have the following aims:…”. Name and explain some of the kinds of questions, problems, and issues that people in the field answer, solve, or resolve. Give examples of the ways in which data is collected in the field and of the ways those data are processed (the inferences or conclusions professionals come to). Discuss the point of view or perspective the field fosters or entails. 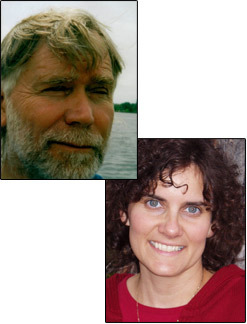 How do biologists look at the world (or at the data they collect)? How do anthropologists? How do artists? Nurses? Lawyers? Doctors? There is a particular set of performances we are striving for in teaching any body of content. We want basic concepts to be internalized. We want students to leave our classes with the content of the course available to them in their minds, so they can actually use the content they learned in the “real” world. Thinking is the only vehicle for that internalization and use. When students think poorly while learning, they learn poorly. When they think well while learning, they learn well. Register now for our online course in teaching Critical Thinking. This course is offered in affiliation with Sonoma State University. It introduces critical thinking theory and focuses on the application of critical thinking to classroom instruction. The course fosters understanding of how to teach critical thinking skills to students through any subject, discipline, or grade level (while working within given curricula). In this course, you will be introduced to, or deepen your understanding of, the analysis of thought, the assessment of thought, and the development of intellectual dispositions. You will design critical thinking structures, strategies and lessons, and you will engage in ongoing critical dialogue with colleagues. For more information about class registration, cost and credit options, check the online learning section our website for further details. As always we encourage groups to attend. We offer reduced registration for groups. Click for More Information on rates or to Register Online! Focuses on Accuracy: Whenever I am reasoning through a problem, I want to make sure I am using accurate information. Whenever it seems that other people are using questionable information in their thinking, I want to check to see if the information is accurate rather than simply accept it as true. I might ask the person how they know the information they are using is accurate. Or I might just look up the information for myself – depending on the circumstances. Focusing on Relevance and Precision: Whenever I am reasoning through a problem, I want to make sure I use information relevant to the problem. I do this by writing out the question at issue as precisely as possible and then writing down the information I am using in thinking through the problem. In this way I can check to make sure the information is relevant to the precise question I am dealing with. Focusing on Breadth: In reasoning through this issue it seems that it is important that I consider multiple ways of looking at the issue. I know this because whenever I am dealing with a problem that can reasonably be viewed from multiple relevant viewpoints I want to make sure I fully consider those viewpoints. If I fail to do so I will be reasoning in a narrow-minded way. So let me begin by stating the basic arguments that can reasonably be made with respect to this issue. Then you can see whether I have left out an important perspective. ~ Edward G. Bulwer-Lytton (1803-1873) British politician, poet and critic. As always we encourage groups to attend. We offer reduced registration for groups. We are pleased that a number of institutions are making considerable efforts to foster critical thinking across departments and subjects using our framework. This framework is based on the research of the Center and Foundation for Critical Thinking during the last 28 years and utilizes the work of Dr. Richard Paul, Dr. Linda Elder, and Dr. Gerald Nosich. Notably, the University of Louisville has adopted a campus-wide approach to implementing foundational concepts of critical thinking as a means to fostering student learning and community engagement. In 2007, the University of Louisville launched its quality enhancement plan (QEP) titled Ideas to Acton: Using Critical Thinking to Foster Student Learning and Community Engagement. This is a ten-year initiative which entails a systematic approach to bringing critical thinking across the curriculum. As a result of some great feedback from our Members, in September, we are releasing new upgrades and features to our online testing system. We have focused on meeting the increasing demand from teachers to both manage, test and assess larger number of students over longer periods of time. We are adding new Administration tools to allow for easy management of your students into groups and classes and groups as well as providing more detailed reporting and data collection tools, including the download of student test result data into your spreadsheets. We hope you find these upgrades of value to your instruction. Have you seen our interactive online tool for learning the Elements and Standards of Critical Thinking? We offer an interactive model which details the analysis and assessment of reasoning, and enables you to apply the model to real life problems. This tool may be used in any classroom, in a faculty or staff training session, or at home for personal use. For more information on these learning tools, the CT Basic Concepts & Understandings Online Test, or our Critical Thinking Online Course for Instructors... for visit our online learning center at www.criticalthinking.org. Our purpose in “thinking aloud” is, in this context, to demonstrate how intellectual humility might be manifested in everyday exchanges. We want to show students that skilled thinkers readily admit the limits of their knowledge, ask questions when they are unclear, and change their thinking when they hear arguments more reasonable than their own. In short, we want to demonstrate the need for intellectual humility and the danger of intellectual arrogance. Students learn best those things we exemplify for them. The 29th Annual Conference on Critical Thinking and Educational Reform has recently concluded, and it was a tremendous success. Educators from 16 countries converged in Berkeley, California for four days of interaction and engagement. Register now for our online course! You can also stay informed about upcoming events on our website. Look for additional events in 2010. Explain the key concepts of the course during orientation. It is helpful to students if from the outset of the course they are clear about the key or “organizing idea” of the course. This is the foundational or guiding concept underlying everything you will be teaching in a given course. We suggest that you use as the organizing idea the mode of thinking that underlies the course. For example, the key idea behind most history courses should be “historical thinking.” For most biology courses: “biological thinking.” For most nursing courses: “thinking like a professional nurse.” To explain the guiding idea initially clearly, discuss the logic of it with your students. For example, “The purpose of chemical thinking is…,” “The kinds of questions chemists raise are…,” “The kind of information they collect is…,” “The central concepts engaged in this discipline are…,” and so forth. Give examples of the thinking in action and give the students an activity in which they can experience doing the thinking in an elementary way. All I say is, call things by their right names, and do not confuse together ideas which are essentially different. A thorough knowledge of one science and a superficial acquaintance with many, are not the same thing; a smattering of a hundred things or a memory for detail, is not a philosophical or comprehensive view. Recreations are not education; accomplishments are not education. Do not say, the people must be educated, when, after all, you only mean, amused, refreshed, soothed, put into good spirits and good humour, or kept from vicious excesses. I do not say that such amusements, such occupations of mind, are not a great gain; but they are not education. Our annual international conference provides a unique opportunity for you to improve your understanding of critical thinking, as well as your ability to more substantively foster it in the classroom and in all aspects of your work and life. This year’s theme focuses on Fostering Intellectual Discipline. The conference will be held in beautiful Berkeley, CA. We encourage institutions to send groups of teachers and administrators who can spearhead critical thinking efforts at your home base. See our special group rates. Visit the Conference section for more information including session titles and dates. Early registration deadlines have been extended until July 6th. Register now online to reserver the lower rate. At the bottom of this newsletter you will find a link to a survey. This survey is regarding your needs relating to professional development and the obstacles you face incorporating critical thinking in your curriculum. The survey takes less than 3 minutes to complete and we would highly value your input. In the future we will be releasing surveys on topics of critical thinking and educational reform. As a member of the critical thinking community you may contribute to and view the results of these surveys. This course is offered in affiliation with Sonoma State University. It introduces critical thinking theory and focuses on application of critical thinking to classroom instruction. The course fosters understanding of how to teach critical thinking skills to students through any subject, discipline, or grade level (while working within given curricula). In this course, you will be introduced to, or deepen your understanding of, the analysis of thought, the assessment of thought, and the development of intellectual dispositions. You will design critical thinking structures, strategies and lessons, and you will engage in ongoing critical dialogue with colleagues. Fostering Critical Thinking in the Classroom… Explain to the students, when orienting them to the class, what will happen on a typical class day and why. At the end of each class period, assign some section from the textbook for students to read. Where possible, ask students to write out their answers to key questions within those sections. When students come to class on the next class day, place them in pairs or triads. Have each student read his/her paper aloud to the group. As the student is reading his paper aloud, have the other students in the group give the reader feedback on his paper, focusing on two or three intellectual standards such as clarity, relevance, logic. Then lead a brief discussion of the chapter or section you are focused on, using an engaged lecture format or Socratic dialogue. At the end of the class period, assign another section for the students to read and on the next class day begin this process again. "A society which makes provision for participation in its good of all members on equal terms and which secures flexible readjustment of its institutions through interaction of the different forms of associated life is in so far democratic. Such a society must have a type of education which gives individuals a personal interest in social relationships and control, and the habits of mind which secure social changes." Click here for more information including session titles and dates. First Strategy: Call on students regularly and unpredictably, holding them responsible either to ask questions they are formulating as they think through the content or give a summary, elaboration, or example of what others have said. Second Strategy: Ask every student to write down the most basic question they need answered in order to understand the issue or topic under discussion. Then collect the questions (to see what they understand or don’t understand about the topic). Or you might: (a) call on some of them to read their questions aloud, or (b) put them in groups of two with each person trying to answer the question of the other. Edward Maynard Glaser. An Experiment in the Development of Critical Thinking. The Spring 2009 Workshops in Critical Thinking have concluded and we would like to send our appreciation to all those who attended and did the "intellectual work" required to participate in the workshop sessions. For those attendees who would like to continue discussions or keep in contact with other participants, we have created a room in the Critical Thinking Member Forum. The Forum is accessed via the Members' Resources Menu at the top of the page. Forums for each Spring 2009 Workshop Sessions are listed under Critical Thinking Events. We invite you to join us for the 29th International Conference on Critical Thinking. Our annual conference provides a unique opportunity for you to improve your understanding of critical thinking, as well as your ability to more substantively foster it in the classroom and in all aspects of your work and life. This year’s theme focuses on Fostering Intellectual Discipline. The conference will be held in beautiful Berkeley, CA. NOTE: In light of the financial challenges educational institutions in this country and abroad are facing, we are now offering further group rate reductions. Please visit our website for more information or phone us at 800-833-3645. President Obama recently explicated the importance of integrating critical thinking into education. As you know, this has been the Foundation’s goal for the last 29 years. To work toward this end, we offer professional development workshops for faculty in primary, secondary and university settings. Each workshop is designed according to the needs of individual institutions. Below is an abbreviated list of topics covered in past workshops. Could I write a glossary of its most basic vocabulary? Do I understand the extent to which the subject involves a great deal of expert disagreement or very little expert disagreement? Can I compare and contrast the logic of the subject I am learning with that of other subjects I have learned? To what extent can I relate this subject to significant problems in the world? To what extent has thinking in this field helped me to become more intellectually humble, perseverant, autonomous…? Discussions about 21st century skills are highly visible in today’s educational environment. In a time where students in the United States are seemingly falling behind those of comparable countries, much attention has been given to the need to improve the quality of our students’ thinking. For this to happen, we believe that educators and administrators must have substantive professional development experiences. However, financial constraints pose some of the most significant obstacles to providing long-term professional development opportunities. The Foundation for Critical Thinking is currently seeking partnerships with schools and school districts to provide professional development workshops at NO COST. To fund this endeavor, we are looking for sponsors. Please contact us if your school or school district is interested so, together, we can locate and apply for various grants. The applications are limitless, but time is not. Let’s work together to make this happen. An Aspiring Thinker’s Guide to Critical Thinking w as created specifically for the young learner, but the content and approach are applicable to all students. This four color guide introduces essential concepts and strategies for thinking critically. You can preview the guide here. Focusing on purpose: What is the purpose of this chapter? What is the principle function of this system? Focusing on question: What questions are emerging for you as we think our way through this issue? What is the key question in this chapter: What is the key question in this section of the chapter? Focusing on information: What information did the authors use in coming to these conclusions? How can we check to see if this information is accurate? How was the information obtained? Focusing on inference: What can we logically conclude based on the information presented in this chapter? What conclusions did the authors come to? Were these conclusions justified given the evidence? Is there a more reasonable interpretation of the evidence than the conclusions these “experts” have come to? Focusing on assumptions: What do these authors take for granted in reasoning through this issue? Should we accept these assumptions or question them? Focusing on concepts: What are the key concepts presented in the chapter (or in the text as a whole)? How would you elaborate your understanding of the concepts we have been discussing? Focusing on implications: If we accept or reject the author’s reasoning, what does that commit me to? Focusing on point-of-view: What are the authors focused upon in this chapter, and how are they seeing it? What point of view do you bring to reading? To what extent does one’s point of view reflect the way we interpret problems, questions and issues? In his 1899 book, The Idea of a University, John Henry Newman warns of the dangers of superficial learning and, reciprocally, argues for the need for learning substantively. When lecture is essential, we recommend use of what we call and ‘engaged lecture’ format. During the lecture, routinely stop and ask students to state in their own words their understanding of what you have said. This can be done through a ‘random card’ format wherein you flip through a set of 3x5 cards, each containing one student’s name, calling on students randomly as their card happens to come up. You keep shuffling the cards to ensure that each new draw is completely random. You call on students in class to state, elaborate, exemplify, and illustrate (in their own words) the most important points in the lecture or in a reading. This strategy involves every student in the class (since any one of them may be called upon at any moment) and ensures that they are actively listening during the discussion. In addition, randomly call on students to state in their own words comments made by other students. Begin by selecting one student to state her understanding of a concept or principle you introduced. Then randomly select another student to summarize what the first student said. Then ask the first person if the second person accurately represented what she originally said. Model the kinds of questions you welcome. In affiliation with Sonoma State University, the Foundation for Critical Thinking is again offering an online educational experience where instructors can develop their skills in teaching students to think critically. Participants engage in critical dialogue with each other in the analysis and evaluation of current teaching practices and theory. At the end of the course, each participant has created, applied and tested various critical thinking lessons. This is an excellent learning opportunity for those interested in practical methods for facilitating the development of critical thinking skills and abilities in their classrooms. Fostering the cultivation of fairminded critical thinking throughout the world! The Everyone Thinks Project aims to cultivate deep thinking about deep issues and to foster the emancipation of human thought. Our most important goal is to help you deepen your understanding of critical thinking and increasingly apply it in your life. Thus to keep you abreast of our many projects aimed at this goal and to create a regular means of communication, we have developed an electronic newsletter to be sent to you once a month. In the past year alone, the Fellows of the Foundation have hosted the 28th International Conference on Critical Thinking and Educational Reform, the 2008 Spring Workshops in Berkeley, California, the 2nd International Academy on Critical Thinking at Oxford University in England, facilitated more than 26 professional development workshops, published a new thinker's guide entitled Intellectual Standards: The Words That Name Them and the Criteria That Define Them, produced new instructional tools such as the Critical Thinking Laminated Cards, launched the Online Critical Thinking Basic Knowledge Test, translated our Miniature Guide to Critical Thinking Concepts & Tools into French, and dramatically expanded our website to include new video clips, informational updates, and free articles. We are increasingly concerned to help prepare people to survive in a rapidly changing world: a world wherein people are becoming more interdependent, a world which is becoming more and more dangerous. A world where bias, propaganda, and superficiality guide much of human thought and action. Critical thinking is needed now, and more than every before. In each of our future newsletters we will include a teaching tip, as well as updates on new developments and opportunities to participate with us as we continue our work to cultivate critical societies. The first workshop day will focus on taking ownership of the core concepts and tools that define critical thinking. Days two and three will target strategies for bringing these core concepts into the logic of subjects, disciplines and domains of human thought. The Foundation for Critical Thinking now has product bundles that correlate with specific areas of specialization and/or interest. Each bundle contains titles most relevant to and purchased by educators and professionals within a respective category. "It is education which gives a man a clear conscious view of his own opinions and judgments, a truth in developing them, an eloquence in expressing them, and a force in urging them. It teaches him to see things as they are, to go right to the point, to disentangle a skein of thought, to detect what is sophistical, and to discard what is irrelevant. It prepares him to fill any post with credit, and to master any subject with facility. It shows him how to accommodate himself to others, how to throw himself into their state of mind, how to bring before them his own, how to influence them, how to come to an understanding with them, how to bear with them....he knows when to speak and when to be silent; he is able to converse, he is able to listen; he can ask a question pertinently, and gain a lesson seasonably, when he has nothing to impart himself." The 28th Annual International Conference on Critical Thinking was a great success. We have uploaded the keynote address video on our YouTube channel (The Playlist may be seen here http://www.youtube.com/view_play_list?p=66C5FC67AA8FB371 . At the request of many attendees at the conference, we have created new forum topics for each presenter's sessions. Log into the forum and look in the Room: Critical Thinking Events and the Forum: Annual Conference on Critical Thinking . Please use these new forum areas to keep the discourse and connections you made at the conference alive. You may notice an addition to the categories and products in our bookstore. We have just added the "Bundles" category to the store where you will find sets of our materials grouped together for a specific grade-level or professional domain. The bundles are priced at a discount to the retail value of products contained within and represent a economic way for a teacher or group leader to obtain comprehensive and applicable resources. New Thinker's Guides sets have also been compiled and are now available under the Thinker's Guides Category. These "subsets" are designed to either supplement a specific Bundle (see above) or act as an economical and more topically focused alternative to the Full Set of Guides. ADD THIS... A new utility has been added to the top menu right below the Search tool. The AddThis Button enables viewer to submit that page to any one of 20 or more news aggregation and *social networking sites. If you find that a page or article on our website is particularly useful or important, we encourage you to use this button to share the resource with others. The Foundation for Critical Thinking will launch new online testing applications. The Critical Thinking Basic Concepts Sample Test is now available exclusively to Members of the Critical Thinking Community. Click Here to take the Sample Test. If you are interested in learning more about the concepts, applications and details reagarding the test, click to read more about the Basic Concepts and Understandings Test.